Should the Redskins Make a Play for Anquan Boldin? In a Larry Fitzgerald-less parallel universe, Anquan Boldin would likely be universally considered one of the top-5 wideouts in the league. 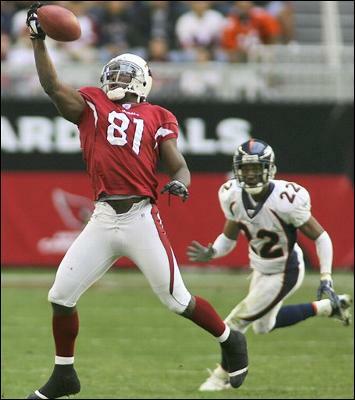 Boldin plays wide receiver like the late Sean Taylor played safety: ferocious and fearlessly. The fact that the man literally had to have his face reattached after receiving a vicious hit against the Jets in 2008 and then returned to the field just a few weeks later is a testament to his drive, commitment, and physical toughness. These are qualities that the Redskins receiving corps are severely lacking. While Santana Moss had a franchise record-setting year back in 2005, there is no doubt that a stronger physical presence is needed in the Redskins receiving game. Wideout Randel El, while athletically gifted and multi-talented, has not provided the big-man compliment to Moss’s speedy play, resulting in a lack of go-to options when tough yards simply must be attained. So the question is: should the Redskins consider acquiring the services of Boldin, who would instantly cause the other NFC East teams to rethink their game plans in order to contain such a commanding physical presence? Looking around the Division, It’s no secret that the Giants don’t want to go into 2009 without the services of a big receiver now that Plaxico Burress is off the roster, hence the rumors concerning their interest in Braylon Edwards. The Cowboys are putting their faith into Roy Williams, ostensibly a big play, larger receiver. And up in Philly, there has been talk about the Eagles looking into acquiring Chad Johnson. So, what does this all mean for the Skins? Assuming there is a master plan in DC (which might be giving Cerrato and Snyder more credit than they deserve), trading away the Skins #1 plus something else for Boldin would be throwing that plan out the window and ignoring the fact that the team’s need for youth and power on the offensive line should be an absolute priority. 1) Skins scouts had no idea what they were doing last year in making those selections. 2) Skins coaches are unable to get their players ready for Sundays. 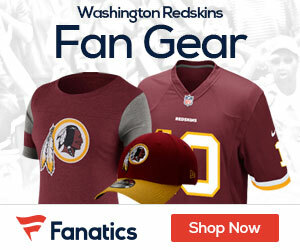 While it would certainly be exciting for the Redskins to acquire the services of a marquis receiver like Boldin, true Redskins fans should be more concerned with building for the long haul with “unsexy” roster additions on the line of scrimmage, making Boldin at the receiver position, or Sanchez at the QB position, unviable options for the time being.